Fifteen people arrested in Iran had been conspiring to assassinate one of the country’s “specialists” in a “Zionist-regime-linked” plot, Tehran declared on Wednesday. An Israeli spy base in a neighboring country has also been uncovered. ­Iran’s Intelligence Ministry says the arrested group spied for Israel. It also linked the group’s activities to a series of killings of Iranian nuclear scientists. Since 2007 the assassination spree has left at least five top Iranian nuclear experts dead, delivering a massive blow to the country’s energy program. While the arrest of the group was first announced on April 10, the exact timing of the operation remains unclear. Iran’s PressTV described the group, which consists of Iranians and unspecified foreigners, as “a major terror and sabotage network with links to Israel” and said they had been held by security forces before they had a chance to carry out their attack. On Wednesday state broadcaster IRIB said the assault had been planned for February 10, the day before Iran celebrated the anniversary of the 1979 Revolution. This indicates the arrests could have taken place months ago. 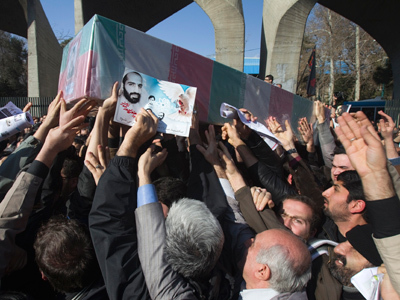 They appear to mark new security measures ordered by President Mahmoud Ahmadinejad in January after Mostafa Ahmadi Roshan, a deputy director of the Natanz uranium enrichment facility, died when a magnetic bomb attached to his car was detonated. 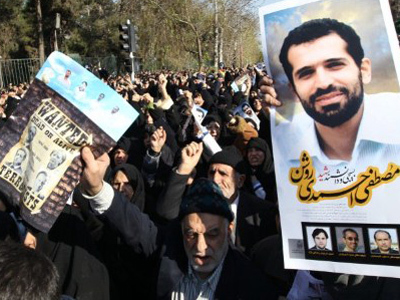 IRIB also stated the intelligence services had discovered “a Zionist regime’s spy base” in a neighboring country. The base was “run by the [Israel’s] Mossad spy agency to carry out operations against the interests of Iran,” they added without specifying the country. Wednesday’s report comes a day after Iran appointed one of its top nuclear scientists, Fereydoon Abbasi, to a new post as the commander for nuclear and radioactive emergencies. The announcement did not elaborate on Abbasi’s new duties. 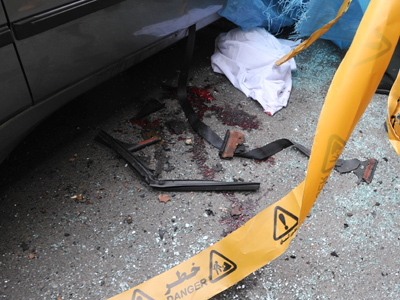 Abbasi is one of the scientists targeted by assassination attempts. 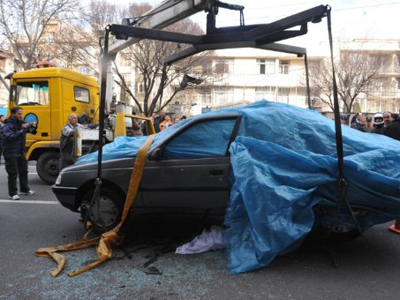 In November 2010 a motorcyclist attached a magnetic bomb to his vehicle. Tehran has repeatedly blamed Israel and the US for the attacks on the country’s nuclear scientists, saying the two countries want to rob Iran of its nuclear energy program. Both the US and Israel suspect Iran of developing nuclear weapons, though Iran insists its program is for peaceful purposes. 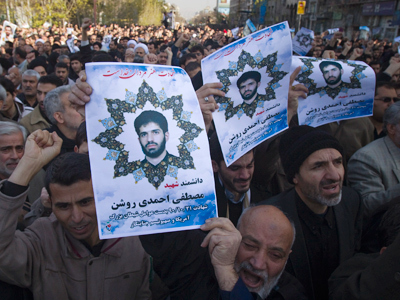 After the assassination of Mostafa Ahmadi Roshan, Iran said it had evidence of CIA involvement in the killing. Washington went out of its way to deny the charge and an anonymous US official pointed the finger at Israel. Israel, which considers Iran “an existential threat,” has been vaguer. On Wednesday, Israel's Prime Minister Benyamin Netanyahu reaffirmed his views regarding Tehran, saying the Iranian regime was working, in plain sight, to destroy the people of Israel. To carry out this plan, Iran is working to obtain nuclear weapons, added the PM. While it is the whole world's obligation to stop Iran, the responsibility falls first and foremost on Israel, said Netanyahu, speaking at the Holocaust Remembrance Day ceremony at Yad Vashem. President Shimon Peres, addressing the public after Netanyahu, supported the PM's views, reports the Jerusalem Post.